A view of Saligo Bay and surrounding areas from the air looking north. Saligo cottage on the right with Saligo River flowing into the sea next to it. Ballinaby in the distance on the right. Smaull with the various hills behind it in the distance. The beach and dunes at Saligo Bay in the centre. 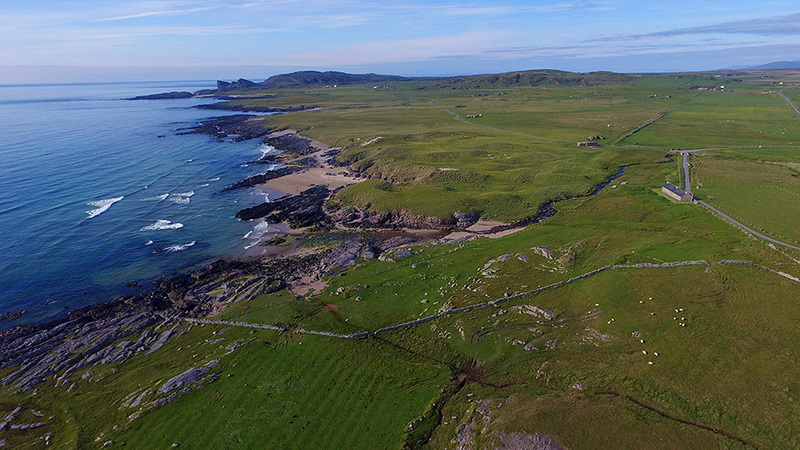 This entry was posted in Beaches, Islay from the air, Landscape, New Post, Sunny Weather and tagged Ballinaby, Islay, Opera House Rocks / Sleeping Giant, Rhinns of Islay, Saligo, Saligo Bay, Smaull by Armin Grewe. Bookmark the permalink.